I’ve wanted to try this recipe for a long time, but especially this summer. After replacing my dilapidated grill, I wanted to use its replacement as often as possible. However…really hot, humid weather and I do not get along. At all. So most of July was out of the question for me – it was already 90-100 degrees (Fahrenheit) for what seemed like a good portion of the month, and the last thing I wanted to do was stand in front of a 500 degree grill. But then August brought some relief, so I pulled out my grill. 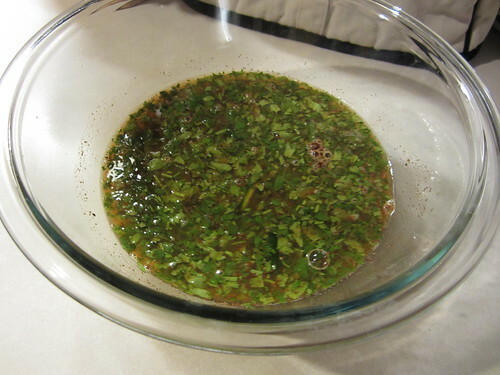 And then I put it back away when I realized the chicken needed to hang out in the marinade overnight. The next day, I pulled out my grill, again. The extra marinating time really does seem to make a difference, though I may have actually liked the chicken better with less time in the marinade. It had a very strong tequila flavor, and really only a hint of lime. That said, it remained very juicy, and I would rather have chicken with too strong of a flavor, than with no flavor at all. And leftovers are excellent in a green salad with a citrus vinaigrette. The night before: In a large bowl, combine the lime juice, orange juice, tequila, garlic, chili powder, jalapeño pieces (mince them for more spice), salt, and pepper. Add the chicken. 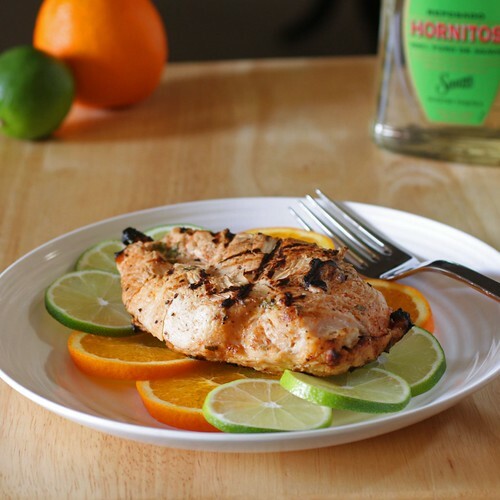 If you can’t find chicken breasts with the skin but already cut off the bone, simply do it yourself – run a chef’s or carving knife between the meat and bone to separate. 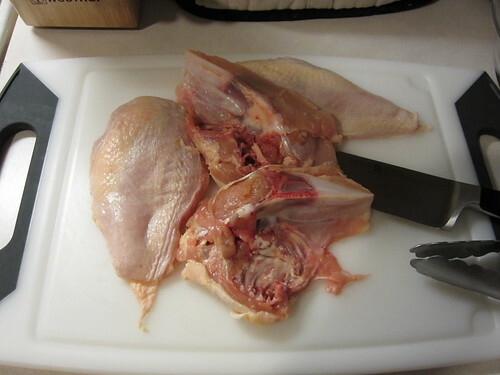 Don’t worry if the tenders are still on the bone; you can cut those off for another use, or just leave them on the bone, and save it all for making chicken stock. Refrigerate overnight. Heat a grill with coals (gas grill to medium). Brush grates with oil. 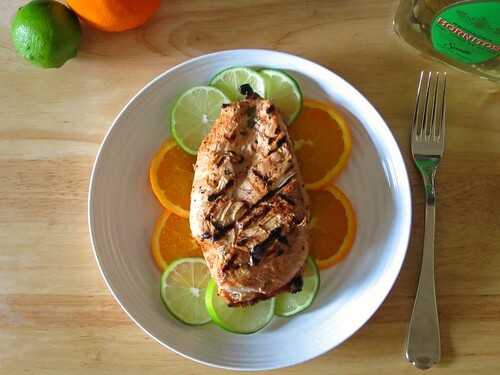 Remove chicken from marinade, season well with salt and pepper. Grill skin-side down for 5 minutes, then flip and cook another 7-10 minutes, until cooked through. Remove to a clean plate and cover with foil for 5 minutes. This recipes makes my heart (and my liver) happy! This looks really good. I like anything with tequila in it.